Union Minister of State for Culture and Tourism (Independent Charge), Dr. Mahesh Sharma has extended his condolence over the sad demise of Shri Nedunuri Krishnamurthy, an eminent Carnatic vocalist who passed away in Visakhapatnam on 8th December, 2014. 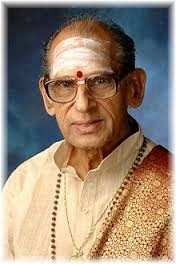 In his condolence message, the Minister has said that with the passing away of Nedunuri Krishnamurthy, the world of Carnatic music has lost an outstanding personality, who will long be remembered by the future generations.For his eminence in the field of music and his contribution to its enrichment, Nedunuri Krishnamurthy was conferred the Sangeet Natak Akademi Award for Carnatic Vocal Music in 1986 and Sangeet Natak Akademi Tagore Ratna in 2010. In his departure, we have lost a distinguished cultural figure whose absence will be felt by one and all, the Minister added.